"Four hundred years ago, before the invention of the telescope, astronomers were amazed by the appearance of a new star. It soon dimmed to invisibility, but they noted its location in the sky. Later astronomers, with the aid of telescopes, found at the location of the new star a nebulous cloud of glowing gas (image above). The developing theory of nuclear-powered stars led them to believe the cloud was a spherical shell of gas blown away by an exploding star. With the discovery that such glowing clouds and their central stars were composed entirely of plasma, a few astronomers realized that electrical forces had to be taken into account. The invention of more powerful telescopes (yellow is the visible light image) and of telescopes that could "see" in x-ray (green and blue images) and infrared (red image) light confirmed the electrical nature of these clouds. An isolated star that explodes would be expected to produce a spherical cloud of gas. Instead, the cloud is plasma, and it reveals plasma's characteristic feature of organizing itself into a network of electric current filaments (notice especially the yellow and green areas). Furthermore, the cloud is not spherical but shows a distinct bipolar shape, somewhat reminiscent of the form of a brain seen from above. This axis through the nebula and the central star is the path of the Birkeland current that supplies the power to energize the system. And that energy is expended in more than the visible light that reveals the filaments: Around the periphery of the cloud, on the surface of the plasma sheath that mediates the internal electrical field with the field outside, can be seen bright spots of x-ray emission (blue). This is where currents in the sheath flow between high voltage differentials and, as in a dentist's x-ray machine, accelerate the current-carrying particles to x-ray energies. We see these x-ray spots primarily at the edge of the sheath because that is where we are looking into the currents, where the x-rays are beamed in our direction. Instead of being the result of a mechanical explosion, the nebula is the result of a sudden increase in the current that powers the central star, a stellar electrical surge. The sheath (which surrounds every star and is normally invisible) has been pushed into the "glow" discharge state; the increased current is pulling matter from the star and from the surrounding space into the filaments that compose that current; and all of it is being heated electrically. Such a surge would have had a sudden onset and an exponential decline--just like a lightning bolt. The new star that 17th Century astronomers saw flaring up in their sky was a stellar thunderbolt. What we see is the declining aftermath." end. A mysterious spike in atmospheric carbon-14 levels 12 centuries ago might be a sign the Sun is capable of producing solar storms dozens of times worse than anything we’ve ever seen, a team of physicists calculates in a paper published in Nature. Carbon-14 (14C) is created when high-energy radiation strikes the Earth’s upper atmosphere, converting nitrogen-14 into carbon-14, which eventually makes its way into plants via photosynthesis. Earlier this year, a team of Japanese physicists discovered a spike in 14C in tree rings of Japanese cedars dating from the 774-775 growing season. But they were unable to explain where that 14C might have come from because all possible explanations appeared unlikely. But Adrian Melott, a physicist at the University of Kansas in Lawrence, who is the lead author of the new study, says that the Japanese team made a miscalculation in ruling out one of these possibilities — a giant solar storm. "Remnant of Kepler's Supernova SN 1604. In October of 1604, a bright new evening star (SN 1604) appeared; Kepler did not believe the rumors until he saw it himself. 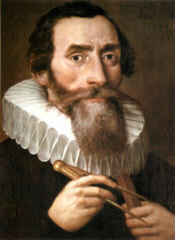 Kepler began systematically observing the star. Astrologically, the end of 1603 marked the beginning of a fiery trigon, the start of the ca. 800-year cycle of great conjunctions; astrologers associated the two previous such periods with the rise of Charlemagne (ca. 800 years earlier) and the birth of Christ (ca. 1600 years earlier), and thus expected events of great portent, especially regarding the emperor [Rudolf II]. It was in this context, as the imperial mathematician and astrologer to the emperor, that Kepler described the new star two years later in his De Stella Nova. In it, Kepler addressed the star's astronomical properties while taking a skeptical approach to the many astrological interpretations then circulating. He noted its fading luminosity, speculated about its origin, and used the lack of observed parallax to argue that it was in the sphere of fixed stars, further undermining the doctrine of the immutability of the heavens. In an appendix, Kepler also discussed the recent chronology work of Laurentius Suslyga; he calculated that, if Suslyga was correct that accepted timelines were four years behind, then the Star of Bethlehemanalogous to the present new starwould have coincided with the first great conjunction of the earlier 800-year cycle." 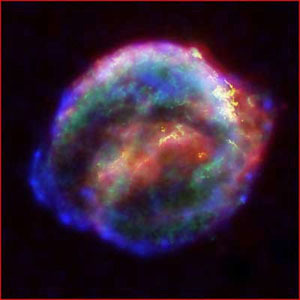 The supernova lasted until 1606. In the beginning it was as bright as Mars but then surpassed even Jupiter. Assuming that the astrologers mentioned above were right about the 800 and 1,600 year cycles, was Emperor Rudolph II equal to Christ or even a Charlemagne? He was definately an interesting character. He turned Prague into a center of esoteric and occult knowledge. All sorts flocked there from Kepler to John Dee. But after all is said and done, he was not a great luminary but just someone who collected art and esoteric mysteries and helped advance the knowledge of such things.
" As an objective man, he is the mysterious (to the profane) yet ever present Personage about whom legends are rife in the East, especially among the Occultists and the students of the Sacred Science. It is he who changes form, yet remains ever the same. And it is he again who holds spiritual sway over the initiated Adepts throughout the whole world. He is the "Initiator," called the Great Sacrifice. For, sitting at the threshold of Light, he looks into it from within the circle of Darkness, which he will not cross; nor will he quit his post till the last day of this life cycle. Why does the solitary Watcher remain at his self-chosen post? Why does he sit by the fountain of primeval Wisdom, of which he drinks no longer, as he has naught to learn which he does not knowaye, neither on this Earth, nor in its heaven? Because the lonely, sore-footed pilgrims on their way back to their home are never sure to the last moment of not losing their way in this limitless desert of illusion and matter called Earth-Life. Because he would fain show the way to that region of freedom and light, from which he is a voluntary exile himself, to every prisoner who has succeeded in liberating himself from the bonds of flesh and illusion. Because, in short, he has sacrificed himself for the sake of mankind, though but a few Elect may profit by the Great Sacrifice. It is under the direct, silent guidance of this MAHA-(great)-GuRu that all the other less divine Teachers and instructors of mankind became, from the first awakening of human consciousness, the guides of early Humanity." The Secret Doctrine, vol. I, p.208. Blavatsky speaks of Guru Rinpoche or Padmasambhava (730 - 805, biography). She is correct in assigning him spiritual duties that encompass a planet. Someday the world will recognize this but we're not there yet. No one reaches Heaven except through Christ (Jesus holds the office of Christ and for any who expect to ascend back to heaven, they must go through their own Christ Self where they will meet Jesus.) and no one becomes a Guru without Padmasambhava. So, in 1604, was there one other adept ready to change the world 800 years after Padmasambhava? Paracelsus believed there was. "It was in 1572 that nature took up the challenge of Aristotle, who had claimed more than a thousand years earlier that the heavens were immutable, but the stars were fixed, that nothing could ever change in the skies. In the 14th year of Elizabeth's happy reign, the heavens proved him wrong. A marvelous new star [a comet] flashed out of the constellation Cassiopeia. The star was as short-lived as it was a brilliant. Within a year and a half, it was gone, leaving behind a world startled by this awesome portent. Tyco Brahe, a Danish astronomer, was the first to record its appearance. He reported it as a being brighter than Venus, so bright that it could be clearly seen even in the fullest light of day. Some said it was a comet; others, a star. Some said it had the same luminous appearance as the star that guided the Magi, the Bethlehem Star, which had appeared so mysteriously 1500 years before. Whatever it was called, it was a strange sight in the heavens during the months that it could be clearly seen. After 16 months the Guest Star disappeared, never to shine again, leaving even the astronomers musing over its appearance in the "unchangeable" heavens. The portent of the star of 1572 was not easily understood. But one man had claimed to know all about itthe famous Swiss mystic Theophrastus Bombastus von Hohenheim, better known as Paracelsus. He died 20 years before Francis [Bacon] was born, but he had been comfidently prophesying the coming of the comet for many years. When it comes, he predicted, it will be "a harbinger" of a great renovation of society"the coming revolution," he called it. The comet would announce a presence of "a marvelous being... who as yet lives not, and who shall reveal many things." This being would be a master of all arts, bearing three divine gifts to change the face of the world. Prophecies of comets, stars and rarely gifted beings did not ring as strangely in the ears of Elizabethans as they do in our ears today. (And we, in our time, do not treat them as scornfully as did our brothers 50 years ago.) Just who this great master of all arts would be only the gods in heaven could know for certain, but the one man of that time who came closest to fulfilling Paracelsus' prophecy was our man of mystery, Francis Bacon. Francis was about 12 years old at the time of the appearance of the star, but already he was showing the marks of genius. He was a young prodigy coming into his adulthood, ready to leave the security and warmth of the Bacon home for a broader life as a student at Trinity College, on the River Cam at Cambridge. Was his coming of age the event prophesied by Paracelsus? Some Baconians believed that it was and that the three gifts are Bacon's outer philosophical and scientific writings, the plays of Shakespeare, and his involvement with the Rosie-Crosse and Freemasonry movements." pp. 35 &36. 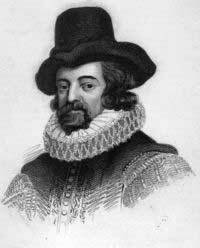 Was Sir Francis Bacon worthy of a comet and a supernova heralding his mission? Was he the heir apparent of the 800 year cycle in the lineage of Jesus Christ and Padamasambhava? Doesn't this extraordinary résumé qualify him for the exalted appellation from Paracelsus, "a harbinger" of a great renovation of society"the coming revolution," "a marvelous being... who as yet lives not, and who shall reveal many things." But was Bacon's endeavors enough to deserve such praise? Was Paracelsus' intuitive knowledge of these events also describing an ongoing unfoldment of some great divine plan? The comet that Paracelsus prophesized appeared around the 12th birthday of Bacon. 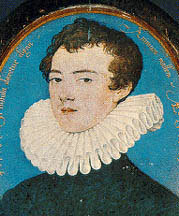 Why is that year important in the life of a young Francis Bacon? The first 12 years are relatively karmic free as the soul courses its way through the 12 signs of the Zodiac. This is a period of grace which allows the child to grow into maturity and is the reason why children should not be robbed of their childhood. Otherwise, the soul will suffer later in life. After the cycle of 12 years, the soul is ready to take on her karma and begin her mission. Bacon was the original 'indigo child.' Being the secret son of Queen Elizabeth, he was given the finest education. Even Roger Bacon, about 350 years earlier entered Oxford University at age 13. At age 12, Francis was indeed ready to begin the accelerated path of his final embodiment that would ultimately lead to his ascension as the Comte de Saint Germain. That comet provided the impetus, light and energy for Bacon to initiate the cycles of a grand life and beyond. But this was no ordinary life. And he was not your run-of-the mill adept. He wanted to bring about a revolution for all mankind. He was to receive an added boost. A Star. Not just any star, his personal Star, just as the Bethlehem Star will forever be associated with Jesus. What changes did the supernova of 1604 bring to Bacon's life? Witnesses have said the supernova was very bright. As with any powerful astrological aspect, the effects are often seen before they appear or go exact. There was one impediment to Bacon's mission. It was his own mother, Queen Elizabeth. She was the reason he wrote the Shakespeare plays in secret. Within those plays he tells his true story, including his birth, using ciphers. One year before the supernova arrives to physical sight but beginning to exert an influence, the Queen dies. That year, 1603, King James ascends the throne signaling the change of fortune for Bacon. He is Knighted in 1603. The year the comet appears in 1604 he begins The Advancement of Learning which is then published in 1605. The changes start accelerating in 1607 when he becomes Solicitor. In 1608 he begins Novum Organum. The books, accolades and titles continue on, year after year until he leaves the scene in 1626.
" ... Padmasambhava mounted a beam of sunlight and in the flicker of a moment flew away into the sky. From the southwestern direction, he turned his face to look back and sent forth a light ray of immeasurable loving kindness that established the disciples in the state of nonreturn*. Accompanied by a cloudlike assembly of the outer and inner dakinis making musical offerings, he then went to the southwestern continent of Chamara**. " 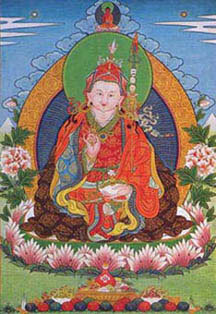 From The Lotus-Born, The Life Story of Padmasambhava by Yeshe Tsogyal. pp. 207, 208. A great Master and dear friend, beloved Jesus, had been tempted, long before me, to accept a human throne in order to utilize the position of authority to further his teachings. He wisely rebuked the interceding advocate for temporal power. Long before his ministry, another (Lord Buddha) renounced an already secured throne to find the heart of God and embody the spirit of that heart for his fellowmen. It comes to every man in his timean opportunity to relinquish all power and authority into the hands of the Father of Light. When the great surrender is madethen the VICTORY does come! I remember well when my call came! I remember the dreams, visions unfulfilled, hopes and plans resulting from communion with my maker, there remained yet ephemoral phantoms, some woven into words which would outlive the garment of flesh I wore (the Shakespearian classics, Bacon's utopia, etc.). To leave all these dreams and plans unfulfilled was not an easy task. Yet, those far greater than I, looking upon the future with unbound eyes, recommended that I prepare to come HOME. Other souls, strong and true, promised to weave their life energies into completing the pattern of my free star! I remember yet how, after winding up my personal affairs as best I could, I left England and crossed the Channel. The rough and choppy seas and the heavy fogs brought to remembrance another crossing. Then only faith sustained us as we journeyed to the shores of the land where one day my vision would become fact (as Columbus). And so, after faking his death, Lord Bacon made his way to a secrect retreat in Transylvania to make his ascension. Or as Manly P. Hall puts it: "While, as before stated, the principles of the Hiramic legend are of the greatest antiquity, it is not impossible that its present form may be based upon incidents in the life of Lord Bacon, who passed through the philosophic death and was raised in Germany." (op. cit., p.241). But wait, just as the Ascended Master Elijah ('Elias come again') was allowed to return one more time as John the Baptist to prepare the way for Jesus, so he was alllowed an extraordinary dispensation to return one more time in an Ascended Light Body to help the "Other souls, strong and true" mentioned above, to finish the work he had started as Bacon. They were in place ready for his help in the 1700's. They were in his beloved Freemason and Rosicrucian Orders; they were heads of State: Louis XV (not to be confused with Louis XVI) of France, Frederick of Prussia and Catherine II of Russia; they were genteel members of the aristocracy: Madame de Pompadour, Prince Karl of Hesse and Madame d'Adhémar and they were in the Colonies: George Washington, Ben Franklin, Lafayette and many others. "There appeared at the Court in these days and extraordinary man, who called himself Comte de Saint Germain. At first he distinguished himself through his cleverness and the great diversity of his talents, but in another respect he soon aroused the greatest astonishment. "The old Countess v. Georgy who fifty years earlier had accompanied her husband to Venice where he had the appointment of ambassador, lately met St. Germain at Madame de Pompadour's. For some time she watched the stranger with signs of the greatest surprise, in which was mixed not a little fear. Finally, unable to control her excitement, she approached the Count more out of curiosity than in fear. "He was the WonderMan of Europethis we know. But was he the lost third son of Prince Ferenc Rakoczy II, the deposed Hungarian ruler? Or did he, as the Ascended Master Saint Germain, materialize a body to give the appearance that he had descended through the royal house of Hungary? His birth, death, and true identity are shrouded in mystery. "But one thing is certain: he was highly visible in the royal courtsand invisible! He was seen to 'disappear' as he left the private quarters of the king and queen at Versailles.Without a doubt, his feats as the Count Saint Germain are exclamation ponts across the diaries of the eighteenth century greats. In the court memoir of Madame de Pompadour, Prince Karl of Hesse and Madame d'Adhémar, he is remembered as l'homme extrordinaire. Described as slim but well-proportioned, of medium height and with pleasant features, he had fascinating eyes which captivated the observing the chance to study them. He wore diamonds on every fingerand on his shoe buckles. Even after his remarkable conversation with the Countess de Georgy in 1767, he did not age. Madame d'Adhémar met him in 1789. "It was himself in person. ... Yes! with the same countenance as in 1760, while mine was covered with furrows and marks of decrepitude." Ageless, a mystery man. There is nothing, it seems, he could not do. He was admired as a great philosopher, diplomat, scientist, healer, artist and muscian. He knew history so well that it would seem he actually experienced the events he related. Madame de Pompadour recalled that "sometimes he recounted anecdotes of the court of the Vallois [French royal house of 1328 to 1589] or of princes still more remote, with such precise accuracy in every detail as almost to create the illusion that he had been an eyewitness to what he narrated"
His knowledge extended not only back in time but also around the globe. "He had traveled the whole world over." de Pompadour wrote, " and the king lent a willing ear to the narratives of his voyages over Asia and Africa, and to his tales about the courts of Russia, Turkey and Austria." He spoke at least twelve languages so fluently that everywhere he went he was accepted as a native. These included French, German, English, Italian, Spanish, Portuguese, Russian and Eastern languages. 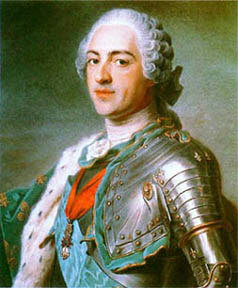 "The learned and the oriental scholars have proved the knowledge of the Count St. Germain," wrote a countess at Louis XV's court. "The former found him more apt in the langauges of Homer and Virgil then themselves; but with the latter he spoke Sanskrit, Chinese, Arabic in such a manner as to show them that he had made some lengthy stay in Asia." He was with General Clive in India in 1755, where he said he learned to melt jewels. At the court of the Shah of Persia from 1737 to 1742, Monsieur de Saint Germain exhibited his skill at precipitating and perfecting precious gems,particularly diamonds. He also traveled to Japan, as he told Madame d'Adhémar. There's no telling where else he visited, for he would appear and reappear unpredictably all over Europe. Yet there was a purpose behind all that the Wonderman did. And his wonders went far beyond mere genius. "'The truth ... A gigantic conspiracy is being formed, which as yet has not visible chief, but he will appear before long. The aim is nothing less than the overthrow of what exists, to reconstruct it on a new plan. There is ill-will towards the royal family, the clergy, the nobility, the magistracy. There is still time, however, to baffle the plot; later, this would be impossible.'" ibid. p. 58. The King's adviser, the Comte de Maurepas who "detested" St. Germain, "hastened her [France's] ruin," by preventing the Count from intervening. "He was skilled in healing and the use of medicinal herbs. Some have speculated that it was Saint Germain's use of herbs combined with his simple eating habits that prolonged his life. Prince Karl of Hesse wrote, "He thoroughly understood herbs and plants, and had invented the medicines of which he constantly made use, and which prolonged his life andhealth." He gave an elixir to Madame v. Georgy which made her keep looking 25 for 25 years, according to contemporary accounts. She lived so long that she came to be called the old everlasting countess. ..."
"... Whenever he traveled, he was welcomed as scholar, statesman and raconteur. He formed secret societies, was a leading figure in the Rosicrucians, Freemasons, and Knights Templar of the period, and penned the occult classic The Most Holy Trinosophia, using a mixture of modern languages and ancient hieroglyphics.
" Monsieur de Saint Germain never confirmed or denied anything that was said about him. Instead, he would respond with a smile or a studied evasiveness. 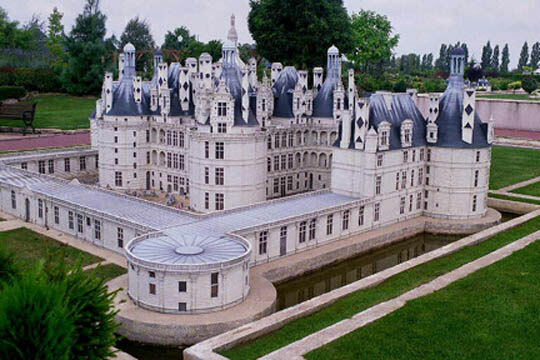 His skill as an alchemist was praised by Louis XV, who provided him a laboratory and residence at the royal castle of Chambord. And his alchemical demonstrations were nothing short of miraculous according to his chroniclers. ..."
"... But why all of this extravagance at court? What was he trying to prove? He was trying, preciselywith wit and humor and his prophetic, masterfull presenceto galvanize an age in the face of the inevitable passing of the old order. His plan of action was to establish a United States of Europebefore the pulling of the ripcord of the bloody French Revolution should leave nothing bad or good of the royal houses of Europe. The Count tried to bring about a United States of Europe. Along with Louis XV, he formed 'The Versailles Group' which created a document and plan to revolutionize Europe along the lines of what would later become America, including major economic reforms. That document now sits in the Louvre. Louis XVI later undid all the changes that had begun to be implemented and brought back some of the aristocracy that had been removed. One of those original members of the Versailles Group later reincarnated as Henry George (1839-1897): 1, 2. He wrote Progress and Poverty, which Leo Tolstoy, Albert Einstein, Winston Churchill and John Dewey, considered a masterpiece of economics. The book included some of the principles he remembered (probably unconsciously) from his time spent in the Versailles Group. Saint Germain next appeared in the Colonies as "The Professor" working to establish that beacon of democracy which was a dream of his when he was Bacon. 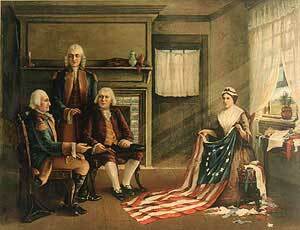 He had a hand in designing the flag and he gave that electrifying speech from the back of Independence Hall, when he shouted out "Gibbet? They may stretch our necks on all the gibbets in the landthey may turn every rock into a scaffoldevery tree into a gallows, every home into a grave, and yet the words on that Parchment can never die! ..." (link below). He came back later to France to try and save the monarchy from ruin. But they would not listen. He was familiar with those behind the scenes causing revolution for they had penetrated a branch of his Masonic Order. After one of the Illuminati's messengers was struck down by a lightning bolt in Bavaria (Source: Proofs of a Conspiracy by John Robison) their plans were exposed and they had to go underground. While Scottish Freemasonry remained true to the Founder's principles, the German Freemasons were infiltrated by Adam Weishaupt of the Illuminati, whom the Count knew personally, knowing his intent and evil core. From this fertile hiding ground, they did their mischief, spreading lies about the Queen among other things. The confusion today about whether the Freemasons are Divinely inspired or something more sinister, dates from this time period. 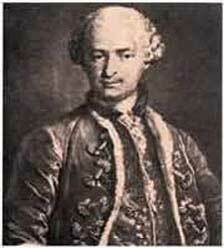 "Saint Germain then freshly passed into a solemn mood. For a few seconds he became rigid as a statute, his eyes, which were always expressive beyond words, became dull and colorless. Presently, however, his whole being became re-animated. He made a movement with his hand as if in signal of his departure, then said: 'I am leaving (ich scheide); do not visit me. Once again you will see me. Tomorrow night I am off; I am much needed in Constantinople; then in England, there to prepare two inventions which you will have in the next centurytrains and steamboats. These will be needed in Germany. The seasons will gradually changefirst the spring, then the summer. It is the gradual cessation of time itself, as the announcement of the end of the cycle. I see it all; astrologers and meteorologists know nothing, believe me; one needs to have studied in the Pyramids as I have studied. Towards the end of the century I shall disappear out of Europe, and betake myself to the region of the Himalayas. I will rest; I must rest. Exactly in eighty-five years will people again set eyes on me. Farewell, I love you.' After these solemnly uttered words, the Count repeated the sign with his hand. The two adepts, overpowered with the force of such unprecedented impressions, left the room in a condition of complete stupefaction. In the same moment there fell a sudden heavy shower, accompanied by a peel of thunder. Instinctively they returned to the laboratory for shelter. They open the door. St. Germain is no more there. ..." The Count of Saint Germain, by Isabel Cooper-Oakley; pp. 144, 145. I am a little saddened re-living this scene of St. Germain's disappointment. There may be nothing worse in the Universe than the disappointment of a Great Adept. Perhaps there is something worse: being the instrument for the disappointment of a Master. A side note, I remember seeing one of those history type programs a few months ago on the invention of the train in England. I always thought it was invented in America. I can see why they beat us, he helped them. No mention was made of St. Germain on the TV program. A pity. Understandable however, since he was always doing things behind the scenes, giving others credit. The goals and interests of Bacon were ever-present in the Count and undeniable. Wanting to lift the burdens upon mankind he continued to prod scientific inventions along. Not only did he help invent the train, but also mass-production methods and he helped create all sorts of new clothing that allowed the common man to dress almost as well as the upper classes. The pyramid reference above is yet another parallel with Jesus. When Joseph and Mary fled with a very young Jesus to Egypt, it is entirely possible, and many have suggested it, that he studied with the heirophants at Luxor and in the pyramids. The author, Isabel Cooper-Oakley pegged that quote above at about 1790. The Count said he would return in 85 years after taking a rest in the Himalayas. That would be 1875. Guess what organization of the Himalayan Brotherhood started in 1875? Correct, The Theosophical Society, primarily started by the Master M. and K.H. but with Saint Germain's and D.K's help. However, Saint Germain may have kept his word and appeared in 1875, albeit in an unlikely place, Santa Fe, New Mexico. The sisters of Loretto Chapel needed a staircase so they did a Novena to St. Joseph. An extraordinary "miracle" staircase was built by a mysterious man who left before being paid. 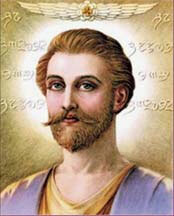 Those who are familiar with Saint Germain's past embodiments know him as St. Joseph. The Count would go on to personally sponsor other activiities of the Great White Brotherhood starting in the early 20th century. I shall always remember the ceremony in which I received the ceremony as Chohan of the Seventh Ray from the beloved Kwan Yin. I considered in my heart, if I could ever hope to embody mercy, the compassion and the love of such a Being as Kwan Yin, half hoping that I might not have to assume that responsibility after so short a preparation at inner levels. "... Now it is time to assume another vestment. In addition to assuming the vestment as the Chohan of the Seventh Ray, I will assume the cosmic of vestment as the director of this great incoming cycle of 2,000 years, which closes the major cycle of 14,000 years as well. I ask for the prayers and decrees, the devotion, the thought and, the calls of all who love me in this hour, so that I may avail myself of all that my consciousness can absorb and which I can pour as the greatest blessing to the mankind of earth through the consciousness of each of you and all my friends throughout the world. I have lived but to serve life. I have lived to set it free. Now is the hour of my opportunity." Saint Germain 4/21/54; The Bridge to Freedom Journal, Book 2; p. 228. "... for ere another century shall have gone by, the oppressors of the whole earth, hating and envying her exaltation, shall join themselves together and raise up their hands against her. But if she still be found worthy of her high calling they shall surely be discomfited, and then will be ended her third and last great struggle for existence. Thenceforth shall the Republic go on, increasing in power and goodness, until her borders shall end only in the remotest corners of the earth, and the whole earth shall beneath her shadowing wing become a Universal Republic. Let her in her prosperity, however, remember the Lord her God, let her trust be always in Him, and she shall never be confounded." Change at the highest levels of government was the order of the day in France to head off catastrophe. Back then it was possible to change a government from the top down. Because of its unwieldy size and the consciouness of the people, that would be very difficult in America today. As Toynbee said, a civilization that wishes to survive, needs to transcend its focus on the material and begin the process of etherealizing culture. A quantum spiritual change in America is the need at this late hour. have been unlocked and laid bare. the Great Adept since 1604 has loosed. Take a moment, go within, and look at these two. What does your heart tell you? * nonreturn: This probably means he assisted them in breaking the wheel of rebirth in that life or a future one. ** Chamara: One of the eight subcontinent's surrounding Mount Sumeru as well as the support for the terrestrial pure land of Guru Rinpoche, known as the Glorious Copper-Colored Mountain. from The Lotus-Born, p. 240. More on the intimate connection between Saint Germain and Padmasambhava and the importance of the Violet Flame. New book that makes a strong case for Sir Francis Bacon as the author of the Shakespeare plays and the son of Queen Elizabeth. An electrifying speech given by an unknown man (The Count of Saint Germain), galvanizing the reluctant signers of the Declaration of Independence into action. The story behind the Speech of the Unknown. The Monks of the Wissahickon and their Rosicrucian origins. Many pages describing Washington's connection to the Presence above.